Unlike traditional discovery approaches, McAfee Asset Manager uses both passive and active scanning techniques to canvass everything on your network in real time. This continuous asset monitoring integrates with vulnerability scanning and incident management workflows to enable continuous asset compliance. Now you can uncover hidden devices on your network as well as smartphones, tablets, virtual machines, and laptops that come and go between scheduled scans. What you haven't been seeing or scanning will surprise you — and could be jeopardizing compliance. 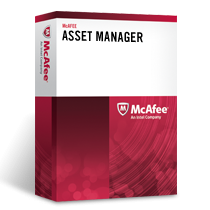 If it has an IP address or is using your network, McAfee Asset Manager can discover and assess it in real time, revealing the compliance of all assets on your network.